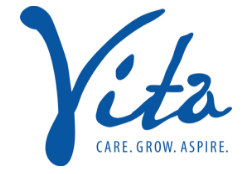 Fairgate Farm – volunteer-powered, thriving and socially responsible – is at the heart of the Vita Health & Wellness District. We supply healthy, safe and locally grown fruit and vegetables to our community and nonprofit agencies. We offer a busy calendar of special events, including nutrition, cooking and gardening education programs throughout the spring and summer. 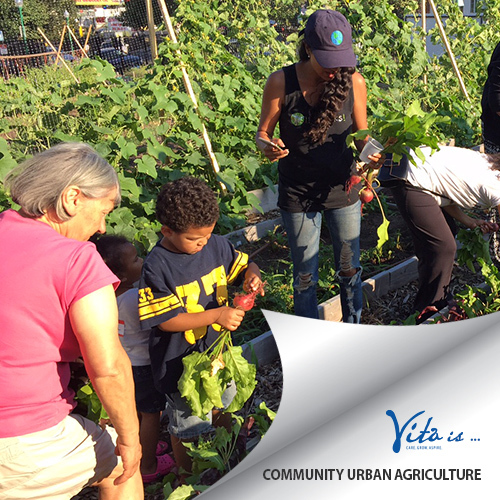 We model communal urban agriculture, where all who participate reap the benefits. Everything we produce goes to the community. Volunteers grow, care for, harvest and enjoy fresh organic produce they take home to their families. What’s left is shared with the community via regular deliveries to local nonprofit organizations focused on hunger relief. We celebrate cultural differences. Our gardens are home to a variety of ethnic fruits, vegetables and herbs to provide the flavors appreciated by our culturally diverse community. With the goal of advancing the community’s awareness and acceptance of organically grown produce as nutritious, we promote healthy eating by making fresh, high quality produce available in our neighborhood. Our cooking demonstrations and food festivals are inclusive, culturally sensitive, free and open to all. Volunteers of all ages, skill sets and capabilities are welcome! Our functioning organic farm has many requirements, from hands-on farming opportunities to flower cultivation, from arts and crafts to culinary contributions to promotion. Building a healthy vibrant community is our driving force. Growing quality food is only an outcome!